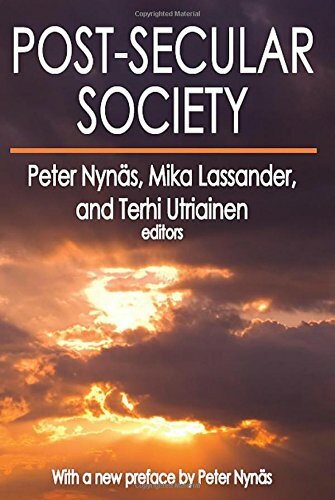 Post-Secular Society argues for several characteristics of the secular: the experience of living in a secular age and the experience of living without religion as a normal condition. Religion in the West is often seen as marked by both innovation and disarray. In spite of differing approaches and perspectives of secularization, rational choice and de-secularization, many scholars agree that the West is experiencing a general "resurgence" of religion across most Western societies. Post-Secular Society discusses the changes in religion related to globalization and New Age forms of popular religion. The contributors review religion that is rooted in the globalized political economy and the relationship of post-secularism to popular consumer culture. Also reviewed is innovative discourse as a religious belief system, theories of the post-secular, religious, and spiritual well-being, and healing practices in Finland and environmentalism. This paperback edition includes a new preface by Peter Nynas.